It has been replaced by the Steren 310-410IV BNC Insert !!!! 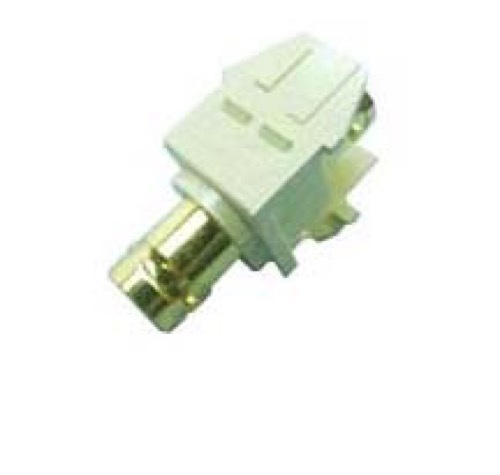 This is 1 (one) Leviton 40832-I ivory BNC jack. This is gold plated for use with high end video, CCTV, LAN, and home theater applications. It is designed for use with all Leviton Quickport wall plates and standard BNC connectors. Attach any BNC-connector equipment cords and cables with ease and simplicity.